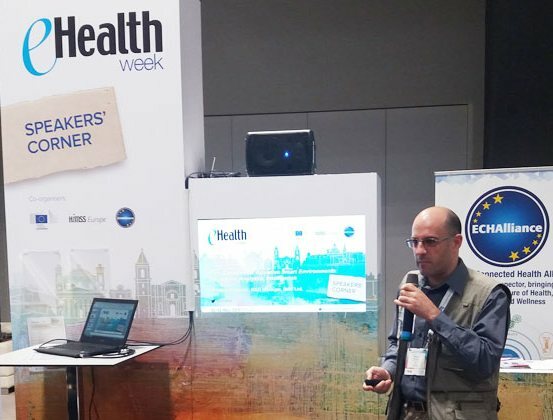 Belit took active part at international conference eHealth Week 2017 (#eHealthWeek), held from May 10th to 11th in Malta. During this event, speakers and delegates explored the changing ways in which personal health data is created, stored, shared and used. In the context of this year main theme – Data for Health: the key to personalised sustainable care – Belit presented experience obtained through international projects (SmartCare, City4Age and PULSE), as well as personalised solutions that we developed in a presentation – “Data Services for Assistive Smart Environments – Registries, Analytics, Intelligence” held on May 11th as a part of Speakers’ Corner segment of eHealthWeek.